Everyone loves a puppy! 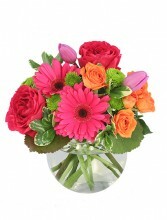 Show your love with this puppy dog basket today. 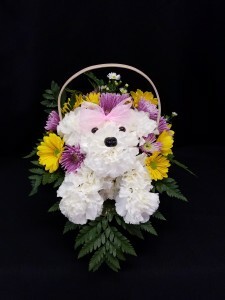 This cute puppy is made of white carnations and surrounded by colorful daisies. This doggy will have any dog lover howling at the moon! 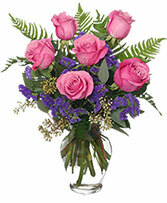 Call us or order online anytime.